The most exciting day of the year for the Bass Lake Utilities and Garbage Collection staff is coming soon to a fire hydrant near you. 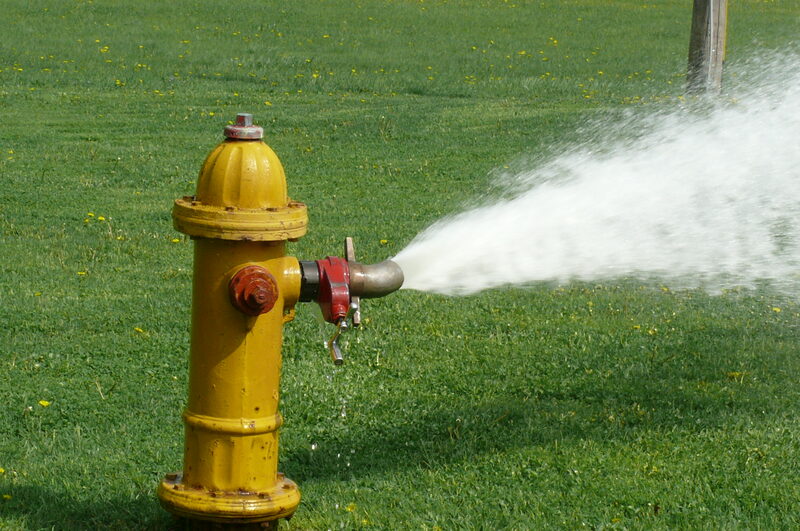 Each year, the three-person staff at BLUGC gears up for the sub-annual flushing of the hydrants. And this year brings a special twist. Flushing is fun, but there is a serious side to the geyser-like maintenance event, Mayor Guy Soundguy said during his weekly voice-altered Podcast. Check the Bass Lake Town website for the official flushing schedule. Or just read it here. May 1 – Hydrant 1, located at Oak and Acorn streets. May 2 – Hydrant 2, located at the other end of Oak Street, near where the Beckwith mansion once stood prior to burning to the ground during the 1975 hydrant flushing.